So you're looking for a little help to find a cheap PlayStation Plus price? We can certainly help you out there as there's nothing worse for our deal hunters than hearing about people paying full price for things. Speaking of full-price, the regular price for an annual PS Plus membership in most stores or online through the PlayStation store is $60/£50, so that's the price you want to beat when looking at the latest deals. If £50 sounds more expensive than you remember in the UK it's because Sony put the price up by £10 in August 2017. Not to worry though, we've found prices closer to the old £40 for you in our PlayStation Plus deals price comparison chart below. You'll need a PlayStation Plus membership to play PS4 games online. On the "plus" side (that's right, I went there), membership also gives you access to the PlayStation Plus Instant Game Collection which includes free games each month that are yours to keep while you're a subscriber. The offer format changed recently to no longer include PS3 or PS Vita titles, so you'll only be getting current-day PS4 titles from now on. Don't worry, you'll still be able to re-download any PS3/Vita/PS4 titles you've added via PS Plus over the years even if your memberships lapses and then you sign up again. Membership also gets you exclusive discounts in sales across PlayStation Network and lets you upload game saves to the cloud, which is brilliant for backing up your progress in case your console's hard drive fails. All in all, it's a great value for your money each year. That said, make sure you turn off those pesky auto-renew settings on your console to avoid paying full price, as we've found some tasty discounts for you with these cheap PlayStation Plus prices. Xbox fans, we've got you covered too with the cheapest Xbox Live Gold deals around. CDKeys Update: We generally find that CDKeys is one of the cheapest prices to buy a 12-month PlayStation Plus deal, but technical gremlins sometimes mean the deals don't show up in our comparison chart below. Feel free to check the following CDKeys links though, just to make sure you're getting the best PS Plus deal. Prices are usually hovering around £38-£42 in the UK and $50-$58 in the US. The rumors are true. There's also a three-month subscription available, but the value isn't as strong and you're technically paying more per month compared to the PS Plus 12-month deals. Take a look. We've got you covered there. 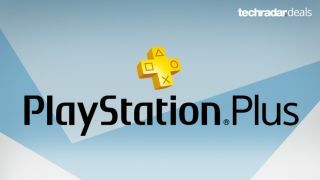 Each month we update the list of extensive freebies for the PlayStation Plus Instant Game Collection. Why not bookmark the page below to make sure you never miss out?